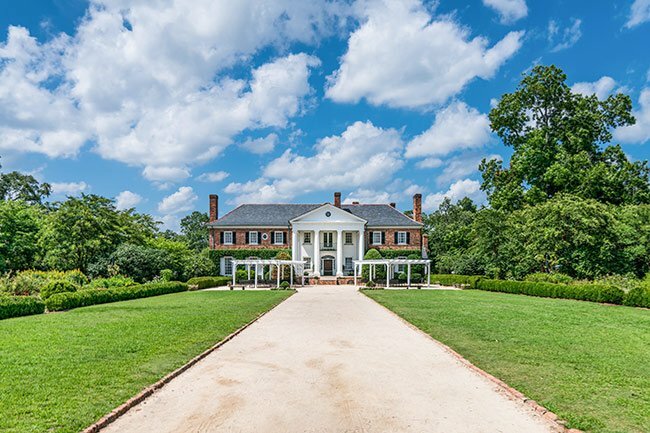 Boone Hall in Mount Pleasant frequently comes to mind when people think of Charleston plantations. 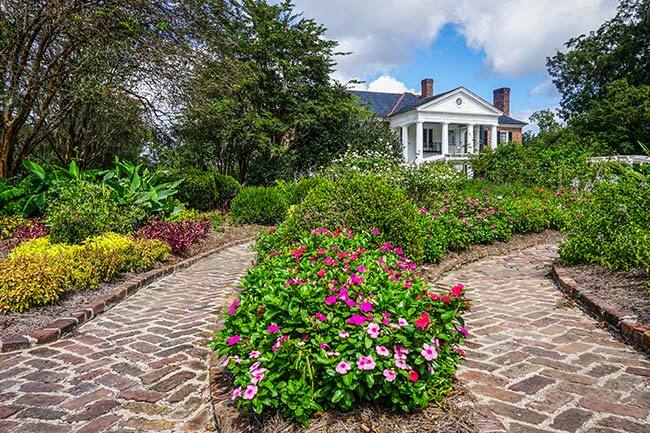 However, it often is misrepresented as an antebellum estate that garnered great wealth from cotton crops. In actuality, brick-making was the primary industry, and the current house wasn’t built until the twentieth century. 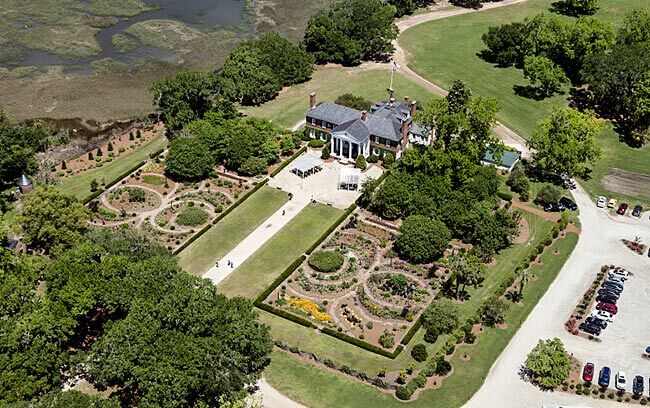 The property at Boone Hall was first granted to Theophilus Patey in 1681, who gave 400 acres of his land on the Wampocheeone Creek (now Boone Hall Creek) to his daughter, Elizabeth, upon her marriage to John Boone. After John’s death sometime between 1711 and 1718, one-third of the land remained with his wife, while the rest was left to his children. Son Thomas Boone stayed on the property and eventually left it to his son, John, who later left it to his nephew, also John. 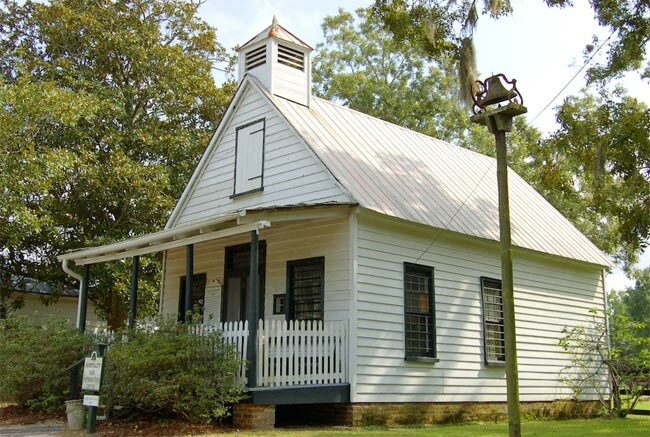 At that time nine slaves were documented at Boone Hall. John’s widow, Sarah Gibbes Boone, then sold the property to Thomas Vardell in 1811, from which time it never returned to the Boone family. 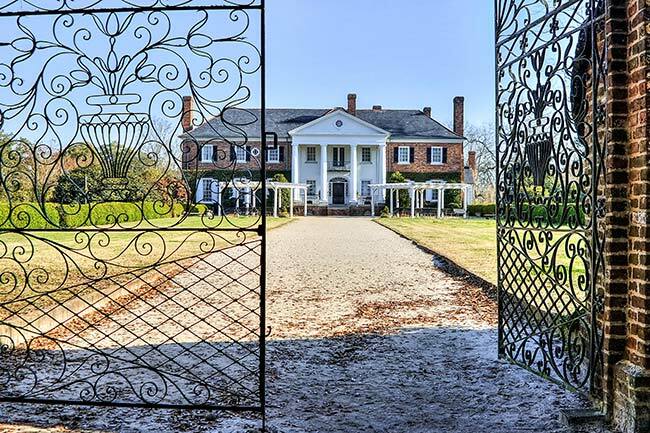 While cotton and indigo crops indeed were successful at Boone Hall, Vardell sold the property to brothers Henry and John Horlbeck in 1817, who brought their thriving brick business there and supplied many downtown Charleston structures with their wares. 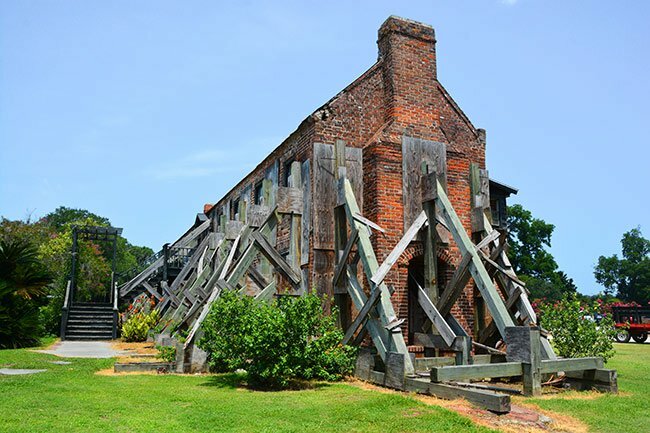 By 1850, Henry Horlbeck’s sons were producing 4 million bricks per year with the labor of 85 slaves at Boone Hall. The Horlbeck sons planted groves of pecan trees during their ownership of the property and became the leading US pecan suppliers by the end of the nineteenth century. 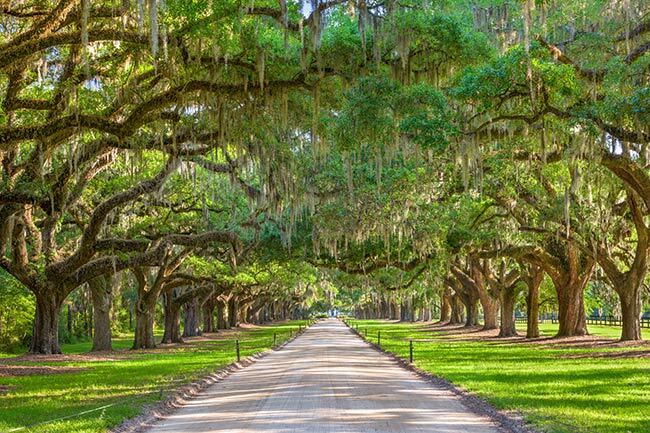 They also began planting the famous Avenue of Oaks in 1843, which is three-quarters of a mile long and lined by about 90 live oaks. However, the the date of the Avenue’s origin is controversial, with some believing it began with the Boones in 1743. Historical records appear to credit the Horlbecks. 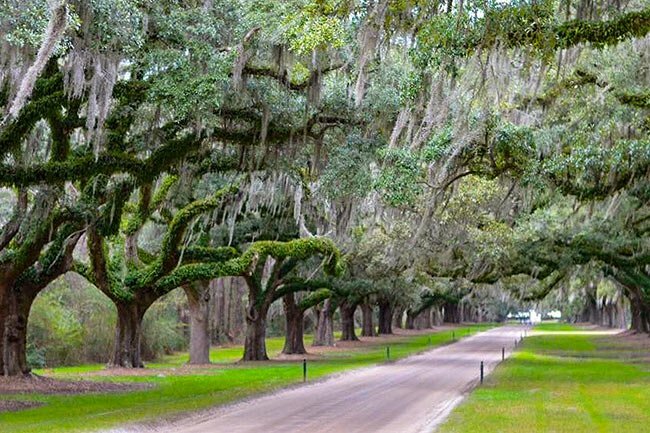 Live oaks (Quercus virginiana) are prevalent along the South Carolina coast and have, for centuries, been an essential part of the Southern landscape. 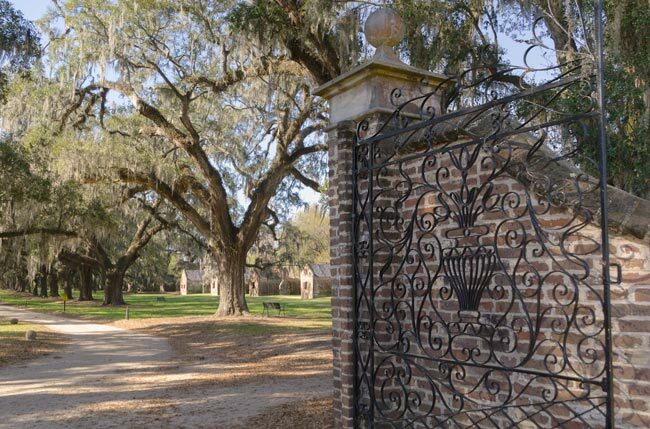 Descendants of the Horlbecks sold Boone Hall to Thomas and Alexandra Stone in 1935. A house stood on the site of the current one by 1843 but was most likely constructed earlier. 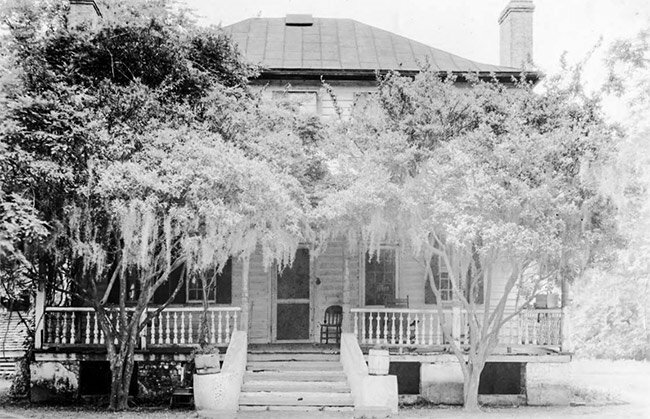 The original house was more akin to a typical Lowcountry farmhouse instead of the grand mansion seen today. The house was demolished by Thomas Stone and in his diary he mentions that demolition was started on Thursday October 17, 1935 with an entry that read “Started tearing down back of old house with four men, the Seabrooks having confined themselves to the front part entirely.” By October 25th, the house was completely gone. In 1936 construction was completed on the current Colonial Revival home that exists on the property today. Since then, it has changed hands two more times and is currently under the ownership of the McRae family, which bought the property in 1955 and opened it to the public in 1959. 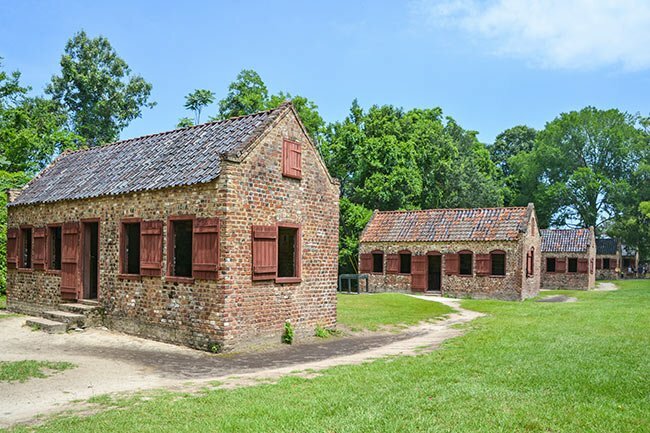 Visitors readily notice the slave cabins that line Boone Hall’s entrance. The cabins are unusual in that they are made of brick instead of wood, an obvious carryover from the Horlbeck days. 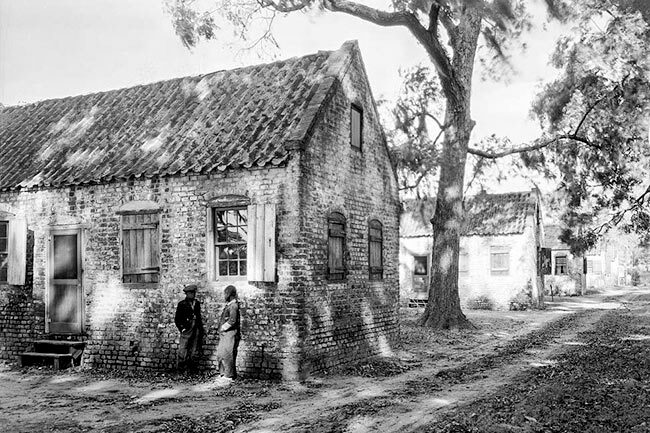 It was common for slaveowners to display their slaves’ cabins in front of a property as a sign of wealth. Typical slave cabin design includes a central fireplace and one room on either side. One room was used as a gathering/dining area and the other a sleeping area, and sometimes a loft for more sleeping space was added. More than one generation usually lived in a cabin, and it wasn’t unusual for a cabin to house around nine or ten people. The cabins at Boone Hall were occupied by employees until the 1940s and now display information on slave life. An aerial view of the property shows the main approach to the house. Gardens flank either side of the main house and the waterways surround the property. In historic times, the waterway was the main mode of transportation, as well as export of crops. The building below is thought to have been a commissary where workers from the 1800s went to receive their pay and buy supplies. 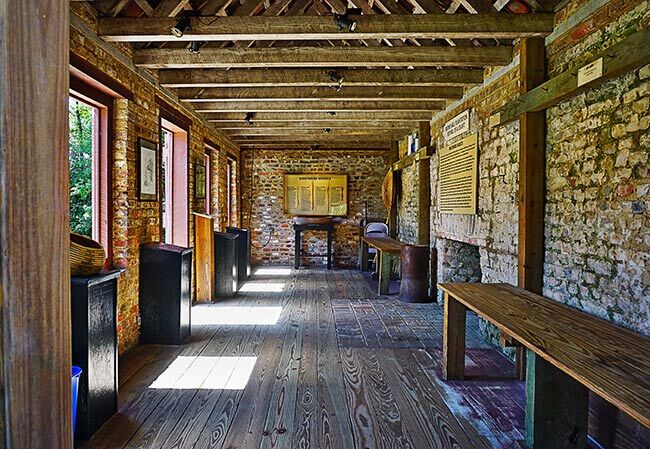 The old commissary has now been modernized and transformed into restrooms for the convenience of the thousands of people who visit Boone Hall Plantation each year. Many festivals and events are held here annually, including the world’s largest oyster roast each January! The photo below shows the cotton gin building. An exact date of construction is not known but it is thought to have been built in the 1850s. The machinery used to process cotton has long since disappeared. Thomas Stone converted the building into guest quarters while he was owner. Today, the building is used as a restaurant and gift shop. It is always a pleasure to recall by reviewing your lovely photos here. I’ve visited thru years, and delight in the history and lasting beauty there. Thanks. Thank you for all the information and all the beautiful pictures. It is a true delight to gaze upon such beauty. I will visit your website often! Thanks, again. 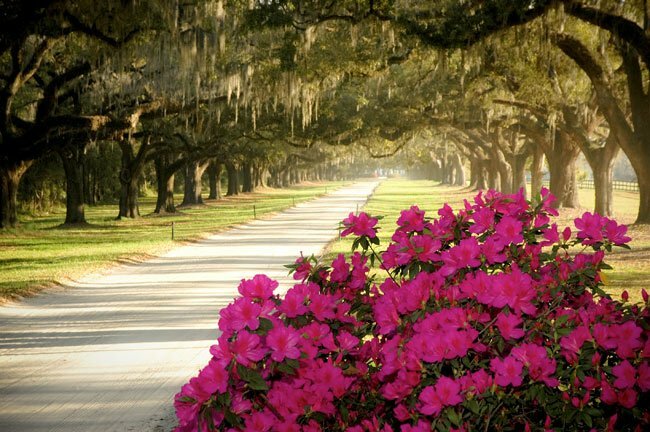 Boone Hall is a popular event site! For more information, go to the website above the map. Do they allow receptions or small events to be hosted here? If so does anyone know the price ranges for the events? The Bonneau family settled this area. Family were Huguenots that settled in the area. Boone Hall Plantation was a nice place to spend an afternoon, but don’t expect a 200-year-old plantation house. The house was actually built in 1935, a disappointment, but I would still recommend a day there to see the beautiful live oaks and grounds.